*Waxing is not recommended if you are taking Retin-A, Accutane, prescription medications, using glycolic acid, sunless tanning, or if you have sensitive skin. Deep Conditioners - $8 - Special ingredients to counteract the damage caused by the environment, lifestyle, or chemical services. Formal Styles - Specializing in formal hairstyles for weddings or any special occasion. Please call in advance to make arrangements. 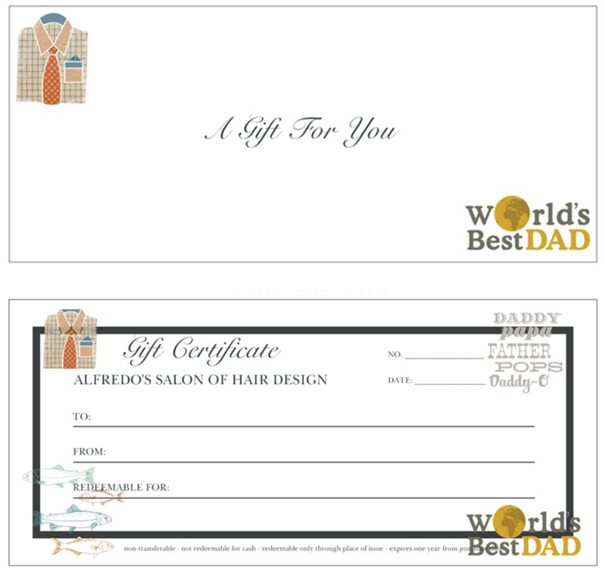 Click here for ideas in our Formal Style Gallery. 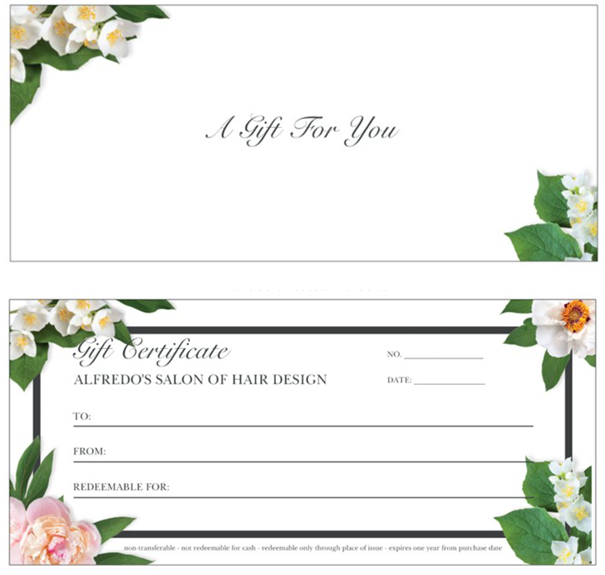 Treat someone special to an Alfredo's Gift Certificate - the perfect gift for any occasion: holidays; birthdays; Valentine's Day; Mother's Day; Father's Day; graduation, etc. 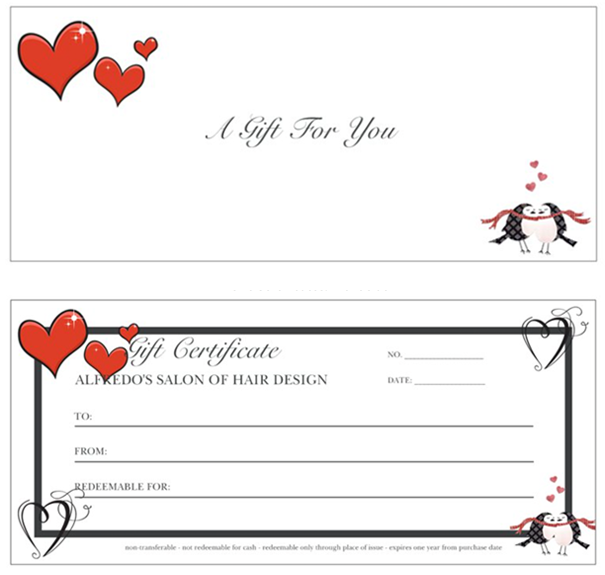 Call us to order at 412-372-5033 or order below and your Gift Certificate will be sent in the mail. 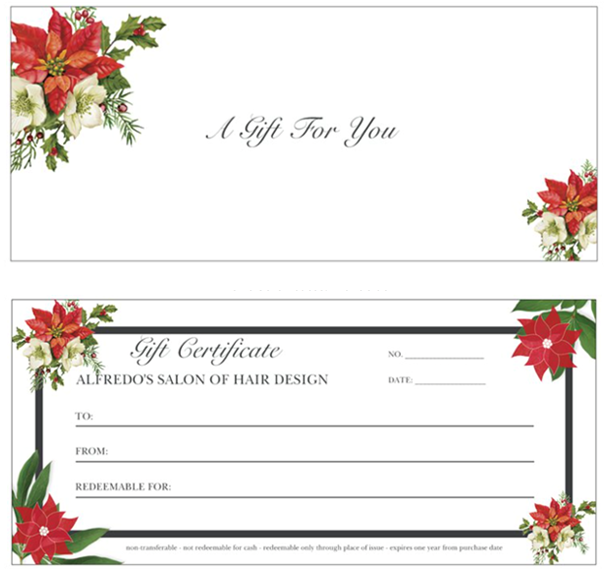 If you would like us to fill in your Gift Certificate, please complete the TO and FROM names as you would like them to appear. 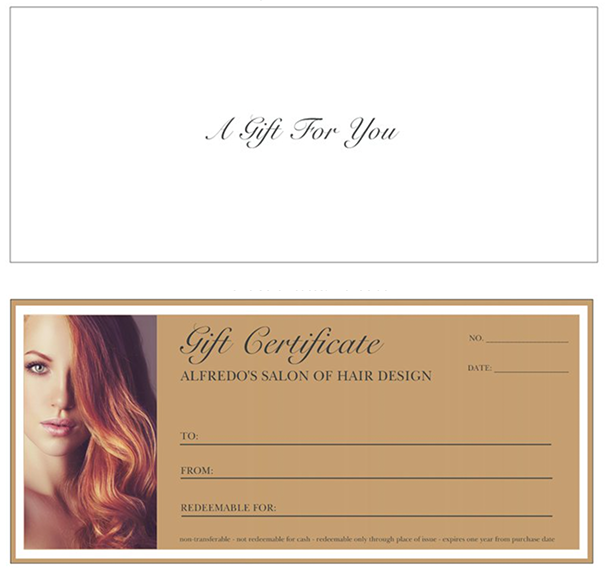 • Enjoy giving the gift of beauty at Alfredo's Hair Salon. 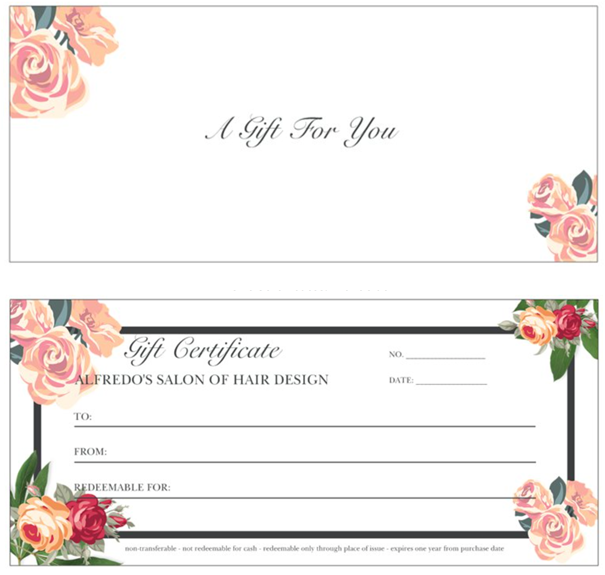 • Gift Certificates expire one year from purchase date. 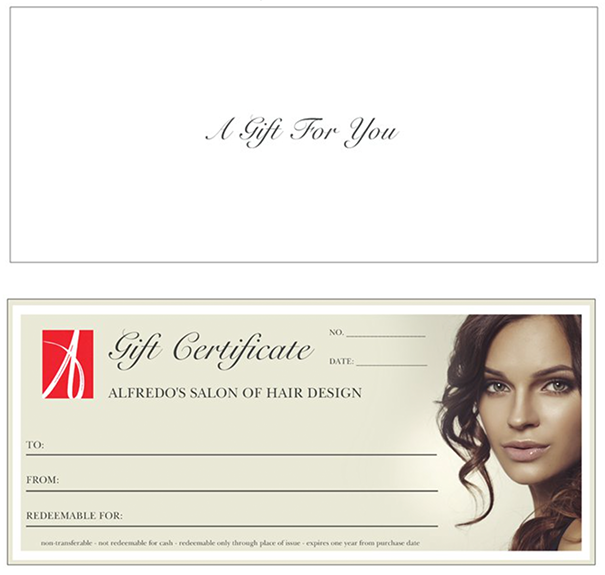 • No returns and no refunds on Gift Certificate purchases.